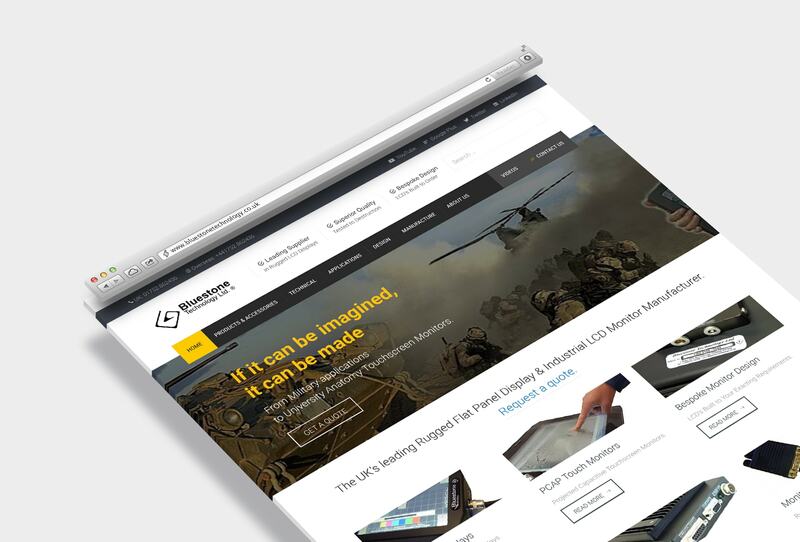 Bluestone Technology are one of the leading suppliers of rugged LCD’s in the UK. They have a vast range of products and requested an easy to navigate website, which got their existing and potential clients to the correct product information pages within as few clicks as possible. I felt the easiest way to achieve an easy to navigate product based website was to utilise WooCommerce, by removing eCommerce functionality and adding various product filters on the sidebar. This works perfectly alongside custom built image category boxes, that also help the website visitor get to the correct products via intuitive images rather than text-based menus. Additional features of the website are image zoom for the product pages, video gallery and bespoke LCD contact form with additional call-to-actions. 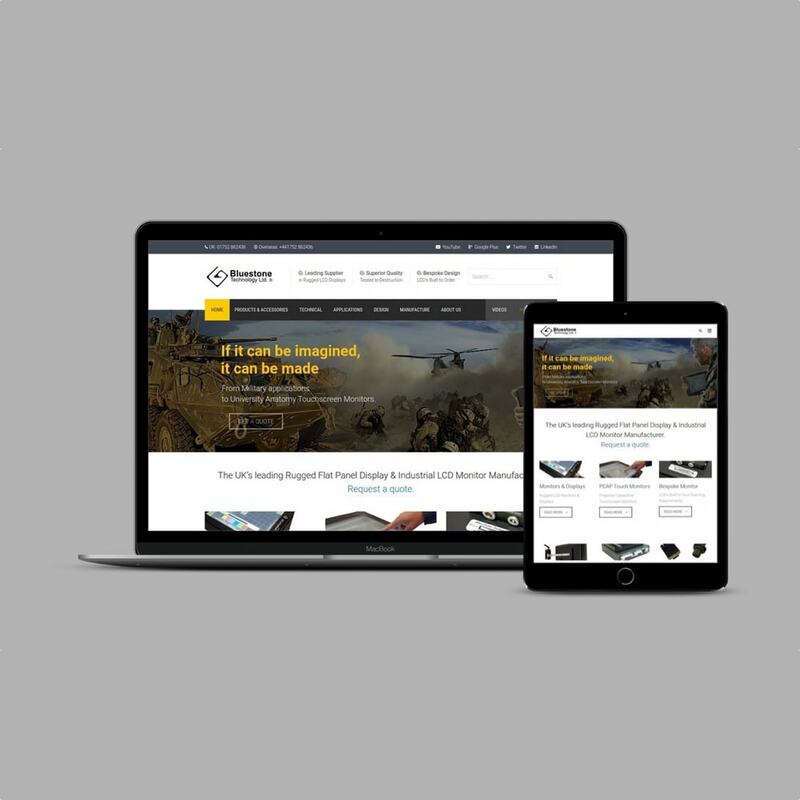 I can’t fault the service we received , we have had a lot of experience of website design over the past 15 years and I can honestly say this was the most painless experience to date. After the initial meetings to discuss what we were looking for Daniel just took total ownership of the project and worked towards a firm deadline for release which was met without stress on us as the customer. At all stages of the process we were consulted to ensure the new site met with our requirements and an no stage did we feel we had to press Daniel to get the project moving at the required pace, he kept the pressure on the project from his end from day one which made a pleasant change from our previous experiences. All in all it was an excellent project and we are extremely happy with the resulting website which is a lot cleaner and more contemporary looking than our previous one. I have no hesitation in recommending Daniel and his team to anyone requiring a high quality professional website design service.